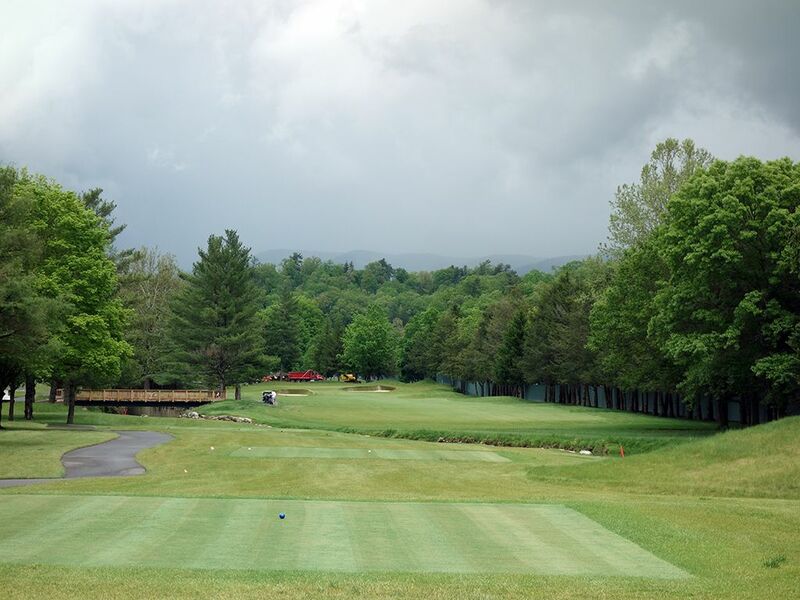 Course Website: Official Website - Visit The (Meadows) Greenbrier's official website by clicking on the link provided. Accolades: Ranked 3rd in West Virginia on Golf Course Gurus' Best in State list. What to Expect: One of the sister courses to the famed Old White TPC, The Meadows offers a nice complimentary round that is sure to be less busy and just as scenic. The course underwent a renovation and was reopened in 2017 after a major flood in 2016 caused damage to multiple places at The Greenbrier. The result was a phoenix rising from the ashes and course that will be enjoyable for all skill levels. The track is characterized by sod stacked bunkers which are found throughout and create some testing sand shots. The course has a totally different feel and set up than Old White TPC and features a more casual atmosphere and pace. The best holes are found on the other side of the road from where the course starts and delivers some better hole designs than I was expected given the little notoriety the course receives. Unlike Old White TPC, no caddies are required and you can zip around the course rather quickly in your cart considering how much less traffic Meadows receives. The course conditions aren't as firm and fast, or quite as manicured, as Old White but solid to be sure. Ultimately, The Meadows is a good course and better than I was expecting however the full rack rate is too stiff for most patrons to justify but worth going out on a twilight or special rate. 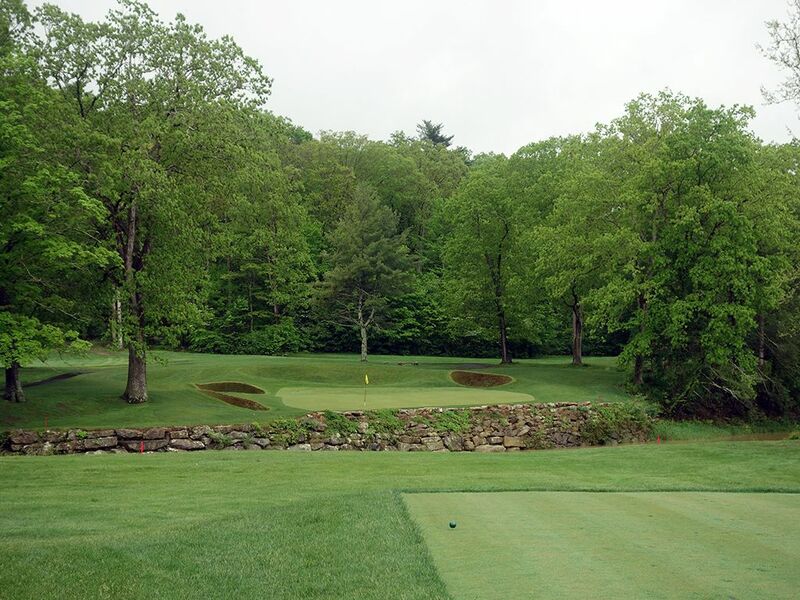 Signature Hole: 12th Hole – 162 Yard Par 3 – The signature hole at the Meadows course is an attractive one-shotter that plays over Howard’s Creek that fronts the green. Three pot bunkers surrounding the green and create a devilish scenario to get up-and-down from. Best Par 3: 10th Hole – 208 Yards – A nice view down the valley greets players on downhill par three that kicks off the back nine. Three sod stacked bunkers stare back at players and can quickly change the smile on your face to a frown if you get in one. Best Par 4: 16th Hole – 442 Yards – A downhill dogleg left, the 16th is a stern test late in the round. Tee shots that find the deep bunker on the right side of the fairway have little chance of saving par while approach shots that plummet into the creek that fronts the green throws par right out the door. The downhill approach shot here is one of the more scenic and enjoyable shots on the Meadows course. Best Par 5: 4th Hole – 529 Yards – Reachable in two, players will be richly rewarded by hitting a long and accurate tee shot that steers clear of Howard’s Creek on the left and O.B. on the right. A pair of bunkers protect the front corners of the green, but approach shots that avoid them will have a great chance of finding the green or setting up a relatively easy up and down for birdie. Birdie Time: 11th Hole – 352 Yard Par 4 – The shortest par four on the course allows players to be aggressive and card a birdie early into the back nine. A nice drive will come to rest just short of Howard's Creek which provides the only real defense to this hole, but with a scoring club in your hand, taking dead aim at the flag should be on the only thing on your mind. Bogey Beware: 18th Hole – 435 Yard Par 4 – The toughest hole on the course is saved for last. A draw off the tee can cut down some length and reward players with a more manageable approach shot. The approach shot requires a forced carry over Swan Lake to a well bunkered green. With the pressure late in a match and fatigue late in the round, it is easy to have a lapse in concentration and leave your approach in the drink. Meadows requires your focus to the end, so give it your full attention.